We look at the highlights from the Westfield W-League in Australia for Week 4. 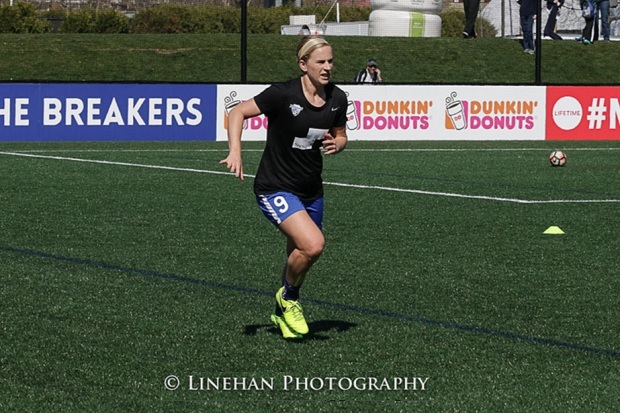 Hat-trick hero Dowie is making it hard for English national women’s team head coach Phil Neville to ignore her in his planning ahead of the 2019 Women’s World Cup next summer—she scored 10 goals earlier in the year for Linkoping in Sweden and now has 19 in four seasons with the Victory—continuing to build onto her all-time team scoring record. She has been in the international wilderness for some time since she was left out of the 2015 Women’s World Cup side for Canada. Australian international Sam Kerr scored twice and had two assists to lead Perth Glory to their second victory of the season, a 5-2 win at home against champions Melbourne City on November 25. 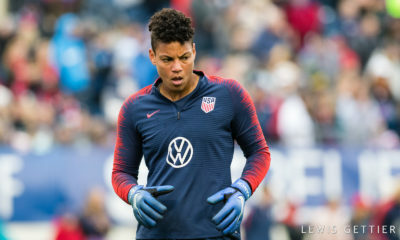 Kerr’s first goal in the 10th minute was a classic, as she beat four defenders and the goalkeeper on the dribble from near the midfield stripe, and then fired across goal from the top of the box into the left hand corner of the net. 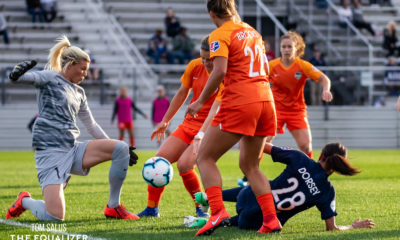 Kerr and her Chicago Red Stars teammate Alyssa Mautz, who also had a brace, are tied for the league lead in goals with Dowie on four apiece. Australian youth international goalkeeper Shamiran Khamis stopped Michelle Heyman from close range in the 62nd minute to keep Canberra a goal down to Adelaide United, but Canberra lost their second road game in a row on November 22. Adelaide United is unbeaten in three games. Veronica Latsko (Houston Dash) scored her second goal of the season in the first half from a Heyman cross and caused the late own goal from Canberra’s Natasha Prior off of her shot that initially was saved by Khamis. In her second season with the Jets, Eckerstrom has surrendered only 2 goals in three games and shut out Canberra United and the Western Sydney Wanderers in consecutive games, the later a 1-0 road win on November 25. 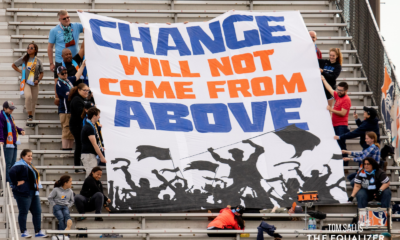 The Jets offense have struggled but thanks in large part to the Portland Thorns loanee and her defenders, they have jumped into the playoff reckoning, in fourth place with six points and the side has played only three games so far.